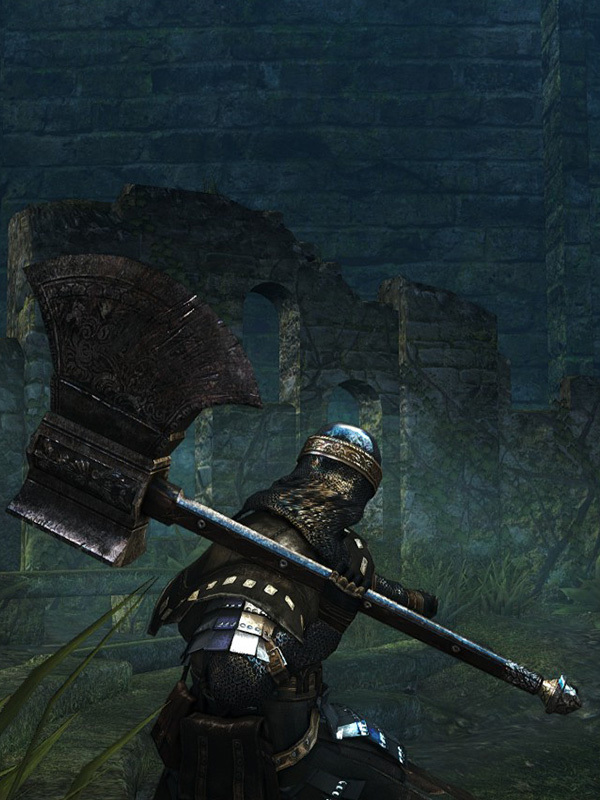 This greataxe is a veritable mass of iron. difficult to handle without inhuman strength. swing requires the full force of the body. 68% STR, 11% DEX scaling. Greataxe durability reduced to 23. Base damage increased. Cannot repair weapon (except through reinforcement). 52% STR, 8% DEX scaling. 19% STR, 3% DEX, 57% INT scaling. 14% STR, 2% DEX, 55% INT scaling. Unknown additional amount of INT scaling. Adds magic damage that scales with Faith. 27% STR, 4% DEX, 56% FAI scaling. 24% STR, 4% DEX, 56% FAI scaling.